Water Softeners have become one of the standard appliances used at home. Still, we came across many people with different queries related to the Softeners. So find the list of the Top 10 Frequently Asked Questions, and our Experts’ answers for the same. 1. What is a Hard Water? 3. 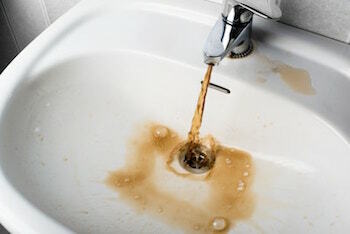 What are serious issues caused by hard water? Why should I have the concern about it? 4. Will a Water Softener remove iron elements from water? 5. 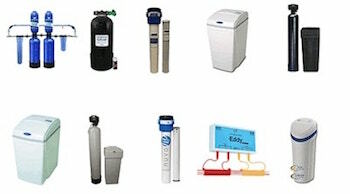 How should I choose the right water softener unit, with the perfect size? 6. How often should I add salt in the system? 7. What is Mushing? And why we must avoid it? 8. When is the need of updating the resin in the softener machine? 9. What is the significance of the term “On-Demand” on the metered units here? 10. 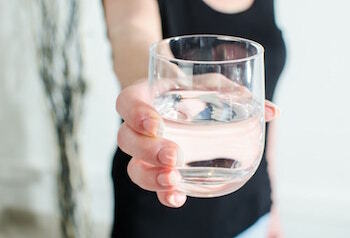 Is the softened water safe for drinking purpose? Water Softener is a machine which is used for converting hard water into soft water. 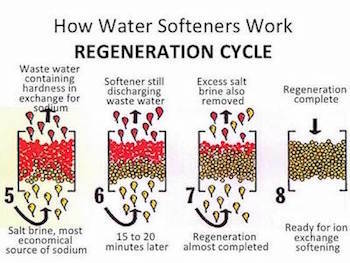 For this process, softener makes use of ion exchange method, where the hardness causing elements are replaced by Salt! This way you can get to use softened water, which is more compatible with soap and even helps with maintaining many home appliances. You will find the presence of different minerals in the water. But if your water has got more than 1 GPG (grains per gallon) of some particular minerals, then your water may be hard. 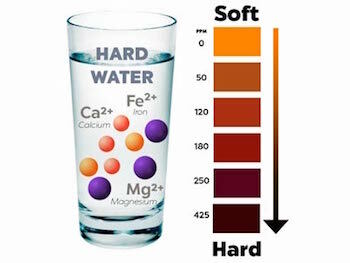 The specific minerals which turn the water hard are calcium and magnesium. When the quantity of these minerals exceeds some level, your water will be converted into hard water.You could easily know if there is hardness in the water, and that is if you find white patches on the utensils, or find your clothes fading its colors easily. These are the quick signs of knowing if the water is hard. 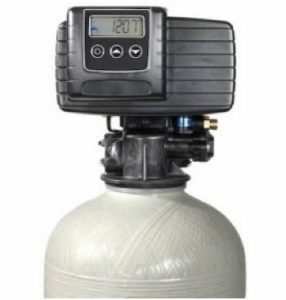 The process in a water softener can be simply termed as an ion-exchange process. The mineral present in the resin tank does the exchange of ions, and this mainly works in softening process. Here both the water particles and the resin bead elements have got opposite charges on it. So, when the water is passed into the softener, the hard minerals present in the water gets attached to the resin beads, because of the opposite charges on it. 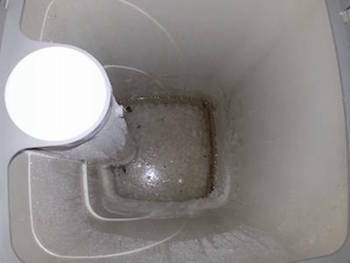 Here the resin beads remain the unit only, with the softened water passed out of the softener system. Now here the resins have got some limitation with the hardness holding capacity, and for the same reason, the regeneration process is required for the recharging of the resins. After you have confirmed that your water is hard, then it is important to get the water treated as quickly as possible. One of the visible effects of hardness is the formation of the scales on the internal portion of home appliances. It can also know by the fading colors of your clothes. Also when you take a bath, you will find the soap particles not mixing with the water. The water showers will also get the soap decompositions formed in it, so make sure that you clean the machine on a regular basis. This type of water is harmful to your whole family. Before getting into the working, the water which comes at your place has got many different forms of iron in it. Not all types of iron could be removed after the processing, but yes some of them are removed after water is treated in a softener. If the iron is water soluble in nature, and the quantity is less than 3 ppm in water. Here the ferrous ion can be removed with the softener, but the ferric iron component can be eliminated with the presence of iron filter along with the softener system. First, you need to calculate the amount of water used at your place, which depends on the number of persons and their average usage. Now choosing from the softener units, they are mainly classified on the basis of different grain handling capacities. So depending on the grain to be handled choose the system for the softening purpose. Also, another point is to take a note of the flow rate of the water at your place. Then choose the Softener system accordingly. The answer is that it depends on a number of grains to be handled by the unit. 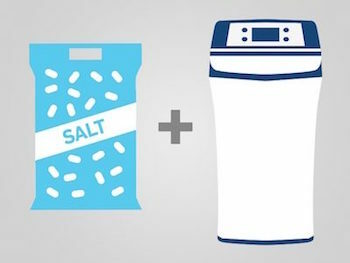 This determines the time taken for the regeneration of the softener and thus giving you the right time during which you have to add salt into the softener unit. Therefore the amount of salt added and the regeneration process, both of them are directly proportional. Now for the brine tank, if you find the salt settled with water just above it, then it is the right time for adding salt into the unit. If you are using salt pellets or the loosely compact salt elements, then there are chances that of formation of crystals of salt (similar to the table salt). With the passage of time, these salts will merge to form a salt bridge on the interiors of the brine tank. This whole process is termed as mushing, and it will immensely affect the brine processing. This process is one of the key steps, which if interrupted will affect the complete softening process as well. If you are taking the right kind of care and maintenance of the unit, then you actually won’t require the need of performing the resin replacement for a long usage time. 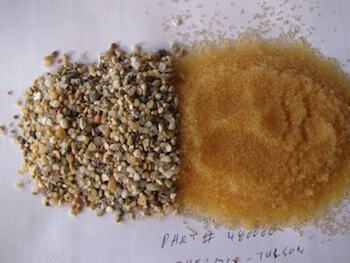 Here we can’t provide you the estimated lifetime of the resin since it depends on a lot of factors. So depending on your style of usage, the resin should be updated accordingly. The On-Demand metered units can be found on the modern softener systems, and they provide efficiency. This works in such a way that the unit performs regeneration only on demand by the user. 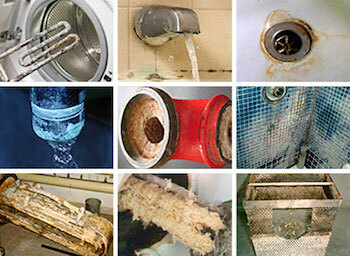 While most of the softeners carry out this process automatically. The On-Demand is more user-friendly, and also efficient with the required amount of regeneration performed in it. One point to be cleared here is that water softener is not a purifier, so softened water is not entirely safe to drink. Here only the calcium and magnesium elements (the hardness causing) are removed. Rest contents are retained back in the water. Another thing is that softened water has got a high level of sodium in it. So people are on a low-sodium diet should avoid consuming this water. So, these are some of the common FAQs asked by the people, and we hope that you got your question answered here. Even if we left out on any query, then you can simply post your doubts in the comment space provided below. Our WaterPeek team will get back to you asap!